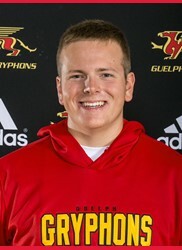 My name is William Boulter and I am a 2nd year student here at the University of Guelph. I am enrolled in the Bachelor of Commerce Hotel and Food Administration program. I am also a member of the Varsity Swim team. I am very excited to get Garden 2 Table started this year! I think it is very important for people to know where their food comes from and with bringing students to the garden here at Guelph, we can show the the value of local organic food. Not only do the students learn about organics, they get the opportunity to harvest food right from our organic farm at the university and then go cook it in our food lab, literally brining their food from the garden to the table. I have always had a passion for food and I am excited to learn more about organics myself and find ways to incorporate what I've learned into my cooking. Myself along with my team can't wait for the first visit to get underway and we are looking forward to a very successful year! Hello foodies, gardeners, and general listeners! 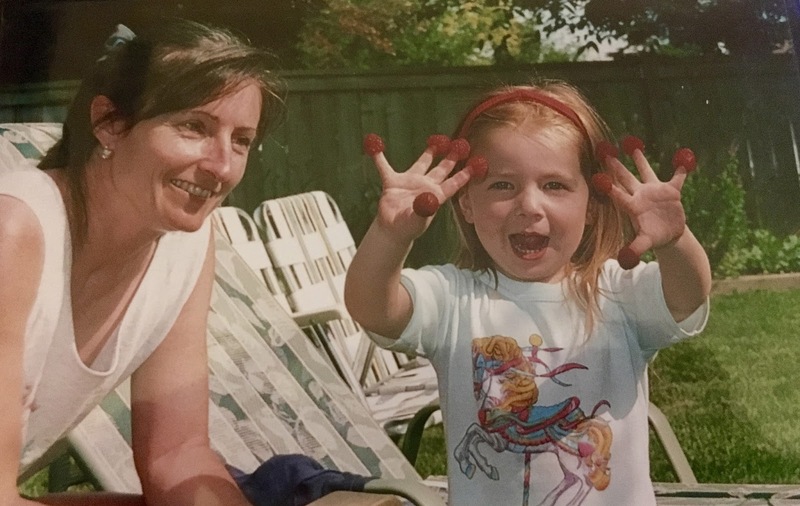 My name is Emily Robinson, and I am a second year student at the University of Guelph, also doing my Bachelor of Commerce in Hotel and Food, with a Coop. I have been drawn to food since about the time this photo was taken. However, I didn't always know exactly how I could make it a part of my life longterm. Cooking, eating, and staying healthy are three prominent pillars in my everyday life. Cooking reminds us to slow down and check in with ourselves, eating allows us to indulge in simple pleasures multiple times a day, and a healthy lifestyle allows us to take care of our bodies in appreciation for all that they can do for us. It wasn't until the last few months of grade 12 that I realized I wanted to pursue food and health, as a result of wanting to find passion, not paycheques. It truly is a rewarding industry, especially when given the chance to go further, and to make a difference within the parameters of the 'norm'. I have been excited about Garden 2 Table since starting at Guelph, seeing as it lines up perfectly with my values towards food. It is so so important to understand where your food comes from, from a personal, environmental and economic standpoint. I am glad to be able to share my passion and vision as we get prepared for our first classroom visit to the Gardens this coming Wednesday (October 12th). There is no better way to shape the future, than to reach out to the children of today, and in doing so I hope we can influence even one or two of them to make more conscious decisions every day. I'm not even entirely sure what we'll get up to over this next year, but stay tuned for much more excitement and inspiration! My name is Lindsay Weatherall and I too am in my second year with Will and Emily, also in the same Bachelor of Commerce Hotel and Food Administration program, with a Coop. We spend a lot of time together. I have been involved with the hospitality industry since I was 14, working in a bakery, then a restaurant, and recently a country club. I spent the summer working at Piping Rock Club which allowed me to wrap my head around hospitality even more. I've always loved the hospitality industry, I'm a very social person and really enjoy creating experiences for people every chance I get. When I heard about the garden to table program in my first year Intro. to Hospitality course I fell in love with the idea. Reaching out to elementary schools and being able to teach students about where food comes from and show them the different components that go into creating the food that is put on your table is an incredible opportunity I wish I had when I was younger.I feel it is very important for young students to get a grasp on the concepts that the Garden to Table program can teach them, because not every child has the same opportunities or access to gardens at home or confidence to try cooking their own food. I am really looking forward to reaching out to the classes and experiencing these visits. Food and people are my passion and I am so grateful for the opportunity to be apart of a program where I can teach students about both. As we are preparing for this Wednesday being our first visit with a classroom also have the amazing opportunity to visit the Apiary in Guelph, it should be a great time! I am very excited to see what's in store for us year, and I am even more excited about the new Garden to Table team and the experiences we will have this coming year! Get the best deal on solar jar, solar jar lights, hanging solar lights, jar decorations, decorative jar, gift jar, garden jar, Garden jar, table decorations & tabletop decorations at amazon.com from great selection at Sogrand Industry Inc Store.